Congratulations to Diane Jacob of Houston, TX for being our second iPad 3 winner! 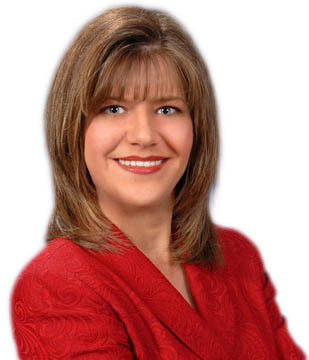 Diane is an innovative agent based just outside of Houston in the Gleannloch community. “I grew up playing with sawdust, nails, and hammers,” Diane told us. Originally from Pennsylvania, she is the daughter of a builder. While other little girls were playing with dolls and teddy bears, Diane was much more fascinated by her father’s tools and materials. When Diane and her family moved to Texas, they boldly purchased their home site unseen. Diane believes this experience helps her empathize with clients whose hopes are dashed when their dream home doesn’t work out. Diane and her husband came to ePropertySites a few months ago, just as they were opening their own office in the Gleannloch community. Creatively giving their business the same name as the community, Gleannloch Realty was an immediate success. The couple looked for a “one-stop-shop” to provide them with all of the tools they needed to market their business to the Gleannloch neighborhood. “My biggest fear was how I would compete at a listing appointment without all of the resources from my last office,” Diane said. Relieved to have found ePropertySites, she’s now able to meet with sellers and offer ePropertySites’ all-inclusive marketing tools. Although Diane was thrilled with the amount of features available on ePropertySites, it was a little overwhelming at first. When the iPad contest began, she jumped at the opportunity to learn more about the system by playing. Searching through site features such as property site music selection, panoramic stitching, and more helped Diane become familiar with everything ePropertySites has to offer. We're excited to contribute to Diane's success with a brand new iPad 3. Her determination and tenacity certainly paid off during the iPad contest, and we are certain these qualities will lead to vibrant success for Gleannloch Realty.